It’s not too late to register your team for free tickets at www.scotlandbuildexpo.com. This is not your average construction show. Scotland Build believes doing business should be fun and includes within the event the Festival of Construction, featuring entertainment, competitions, prize giveaways, live music and much more! The free-to-attend show attracts thousands of decision makers from across the Scotland’s construction industry including all Tier 1 contractors, house builders & associations, developers, sub-contractors, architects, specifiers, civil engineers, local councils, government, distributors, suppliers, manufacturers and many more. The extensive exhibition will feature over 150 exhibitors showcasing their latest innovation, products and services, including Indinature, Balfour Beatty, Aarsleff Ground Engineering, ACO Technologies, EPSM, Catnic, DuoTools Direct, Gripple Ltd, Home Renewables, Fosroc Limited, Natural Cement, Rockwool Limited, Emtec Energy, Core Conservation, Openreach, Revizto, Plastic Surgeon, Screwfix, Siemens Limited, Tascomi, Siemens, Scotia-Supplies and many more. The exhibition plays host to 5 dedicated conference theatres with over 150 hours of free CPD conference and workshop sessions discussing the latest developments, challenges and opportunities across Scotland’s built environment. With sessions on the Future of Construction, Sustainability, BIM & Digital Construction, Architecture, Skills & Development and more, this is your one-stop-shop to gain all over your CPD points over two days. With over 150 speakers from BAM Construct UK, Mitie, Wheatley Group, Galliford Try, Mott MacDonald, BDP, Holmes Miller, 3D Reid, Arup, Balfour Beatty, Amey, Clyde Gateway, Wates Group, Aecom, Morrison Construction, Kier Construction, Mace Group, Morgan Sindall, The Scottish Government and Multiplex Construction and many more. 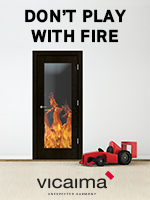 Scotland Build is extremely active in the promotion of inclusivity, diversity and equality in the industry. 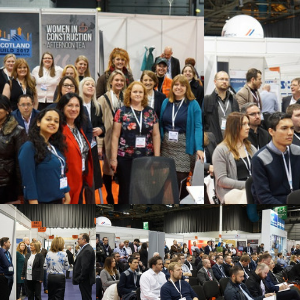 The annual Women in Construction Networking Event in Glasgow, now in its third year will take place on March 21st, attracting thousands of empowering women working in construction for an open panel discussion session and plenty of networking. This Thursday, the show introduces a new networking session dedicated to the future of the construction industry. The Future Generation of Construction is a tailored afternoon on the 21st March from 12pm – 4pm. There are two workshops running in the CPD hub followed by a panel discussion and networking session from 2pm – 4pm. This afternoon is for students, graduates or individuals looking to transfer their skills or enter into the construction industry in Scotland. The involvement of 50+ high profile partners, enables Scotland Build to continue delivering on the exciting content and high-level networking for all in attendance. 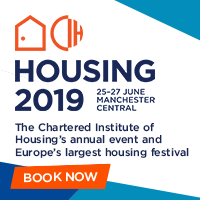 The Built Environment Networking Hub will host free-to-attend exclusive networking events across two whole days, including the Builder’s Breakfast, Architects Hub, The Passivhaus Trust Networking, Festival of Construction and more. Build your connections, gain inspiration from industry thought-leaders and win business at the show which offers it all. Join the Scotland’s building and construction industry and register today for your free tickets: www.scotlandbuildexpo.com or email selena.moseley@oliverkinrossevents.com for further details. This entry was posted in Events & Exhibitions by Francesca. Bookmark the permalink.